The text is set all in 18pt ATF Garamond with the title in Americana. I was hoping to do the text in Baskerville to keep it all UK centric but, alas, when hand setting type one is constrained to the amount of sorts in the case. 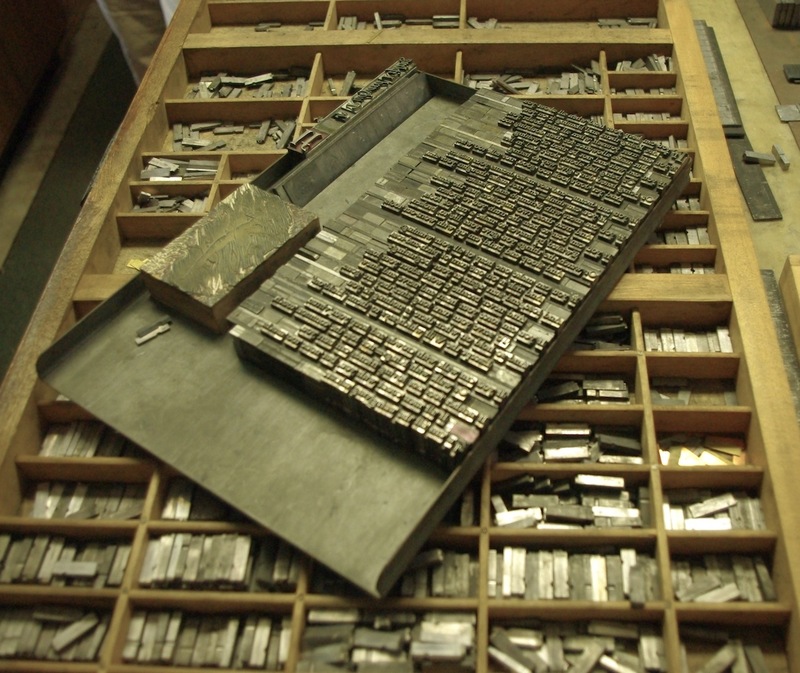 Even with the Garamond I was short four “o” and had to run the last four lines as a separate press run. The paper is Domestic Etch and sheet size is 10 x 16 inches, they are signed and numbered in an edition of 55 copies, printed in 2 colors and are available for $45 below and on the Books by DWP page. 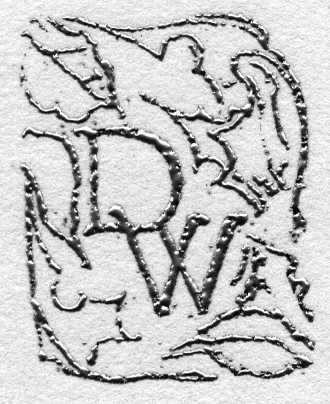 The image is a old wood engraving of mine that first appeared in a small edition (50) of poems by Terry Wooten back in 1997 called Hermaion. With a few more cuts to the block I think it makes an admirable companion to If. 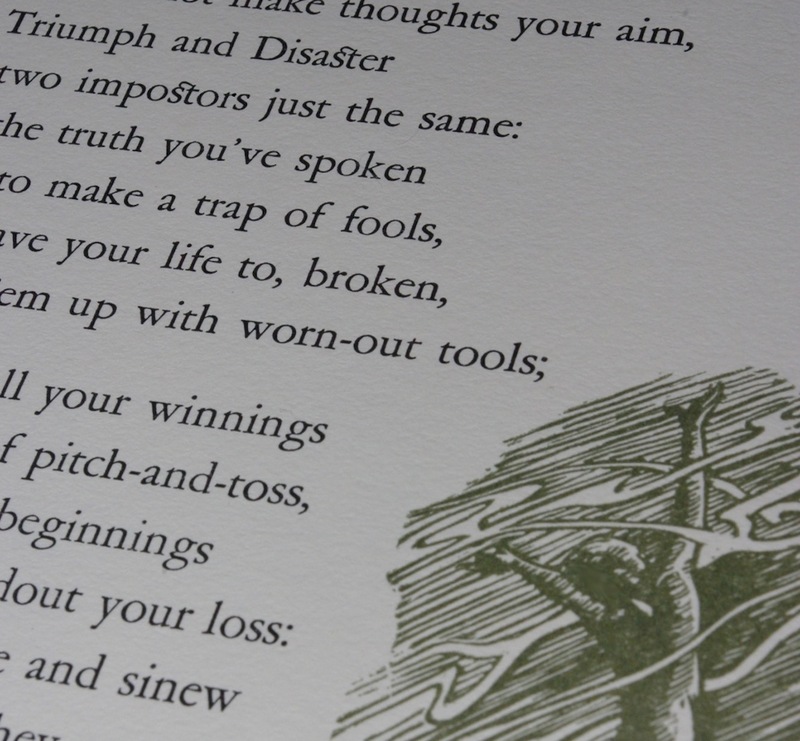 If you’re British or an Anglophile you know all about this poem of course. It’s been voted Britain’s favorite poem uncountable times by various survey entities and carries significant meaning beyond the aforementioned immutable British stereotype. I’ll let you do your own googling for info on Dr Leander Starr Jameson and the Boers War. 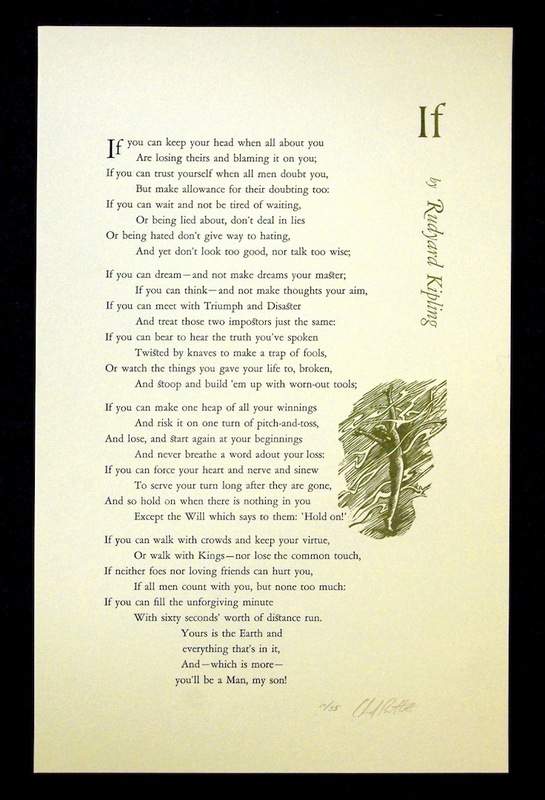 Kipling wrote this for his own son who died in WWI only a few years after the poem was published in Rewards and Fairies in 1909, a shock Kipling never fully recovered from.